Snaking up a hill just north of Ladbroke Grove and Notting Hill, Kensal Rise has plenty of west London charm, minus the red trouser brigade and tourists. It’s refreshingly down to earth, with a chilled atmosphere and plenty to get your teeth stuck into. Paradise by Way of Kensal Green is a local institution, a gastro pub that turns into a late night rave most weekends. Then there’s Scaro Cuore for authentic Naples pizza and Shish Mangal for the best Turkish kebabs outside Dalston (and Turkey obvs). The Chamberlayne is a cracking pub and does a great Sunday roast too. 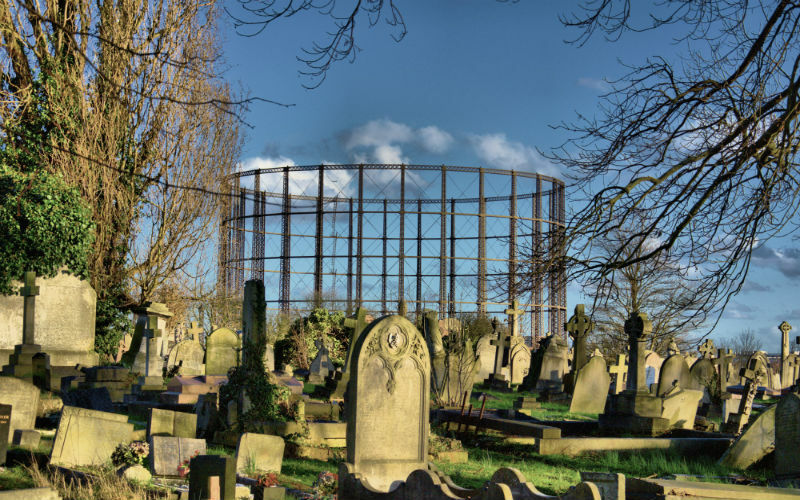 A must-visit in Kensal Rise is the cemetery. Opened in 1833, Kensal Green Cemetery is based on the infamous Pere Lachaise Cemetery in Paris and is one of London’s ‘Magnificent Seven’. 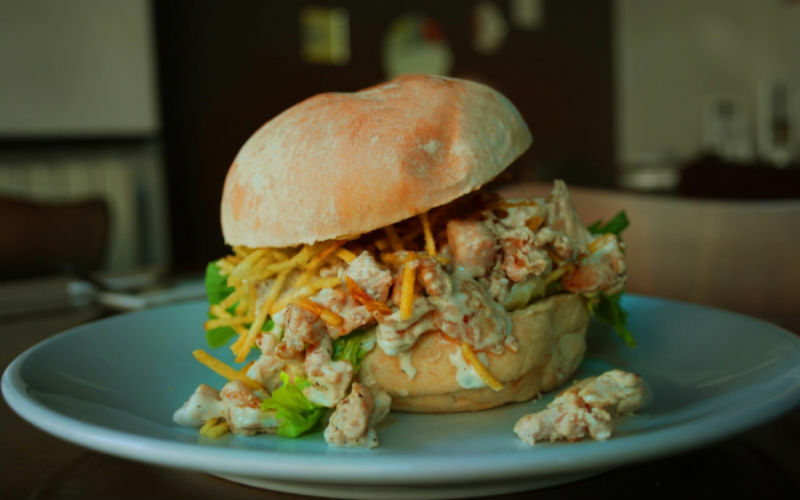 X Burger House flips out HUGE homemade burgers inspired by Brazil. Coming in two sizes, 5” and 7” these bad boys aren’t for the faint-hearted and are piled high with toppings. Expect everything from a Hawaiian burger with a beef patty, ham, pineapple, jalapenos, cheese & salsa to bacon burgers and they even do a challenge burger with a beef patty, chicken, bacon, sausage and a fried egg! Their hot dogs are also bang on and absolute beasts. Yes, it’s go hard or go home X Burger House! The Shop NW10 is not actually a shop, but a bar that also sells the artworks on the wall and even the furniture you’re sitting on. The drinks are served in retro milk bottles adorned with old advertisements, and ‘The Shop Assistant’ is our fave with El Jimador tequila, fresh lime, honey, raspberries and lager, a concoction that on paper shouldn’t work, but really, really does. 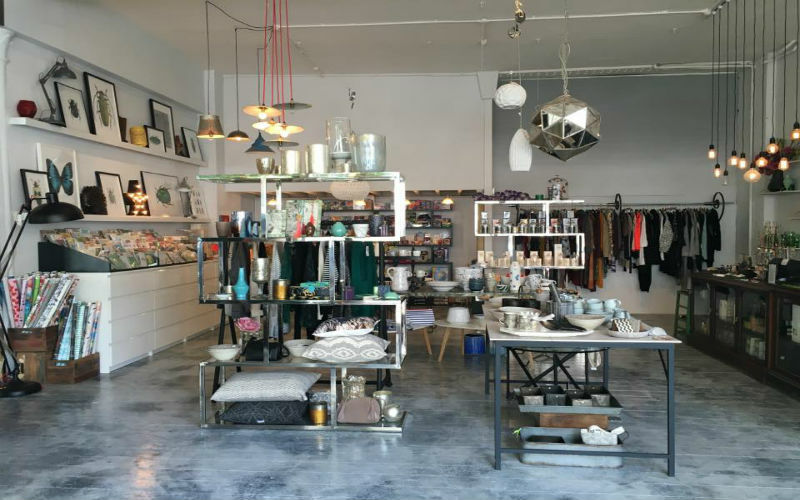 The Shop really looks the part too, with the bar reclaimed from World War II era crates and lighting reclaimed from Manchester Airport circa 1960’s. 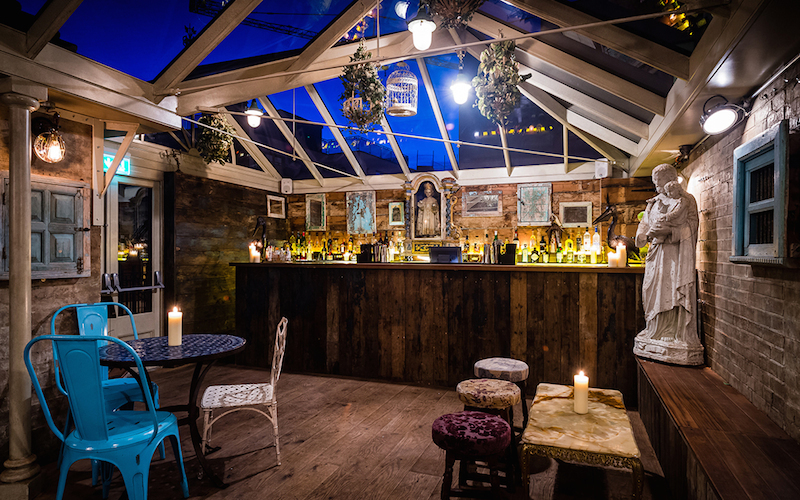 From Sunday roasts to late-night parties, Paradise By Way of Kensal Green does it all. 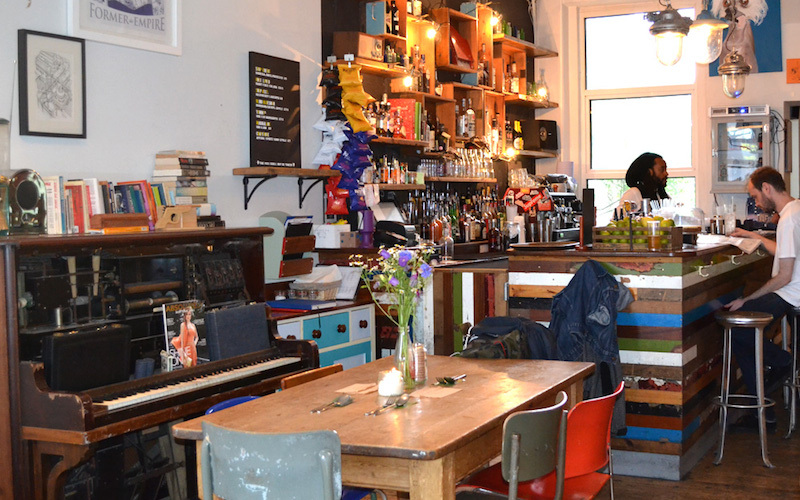 As well as serving up some tasty grub, they host a whole load of events with live music, supper clubs, film nights, cabaret and hip-hop nights regularly on the bill. Local or not, it’s defo worth the trip to Paradise By Way of Kensal Green. You can’t go wrong with some grub at Parlour. 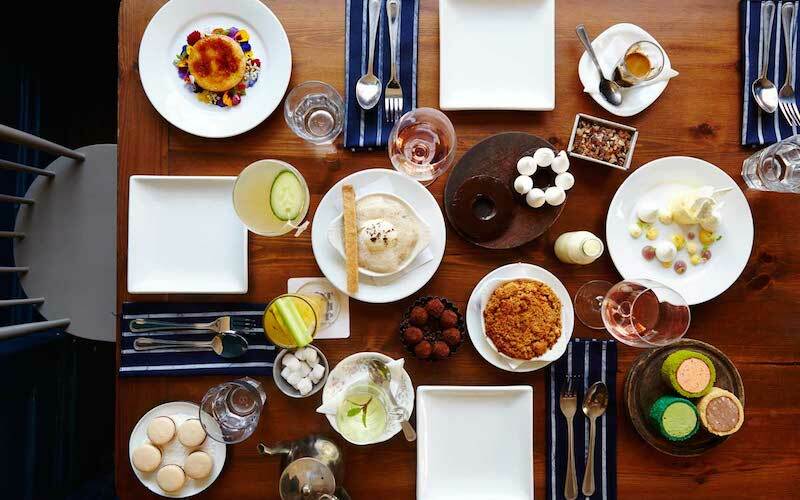 The all-day restaurant serves up everything from DIY toast in the morning to cow pies, popcorn chicken and duck liver profiteroles with rhubarb in the evening. 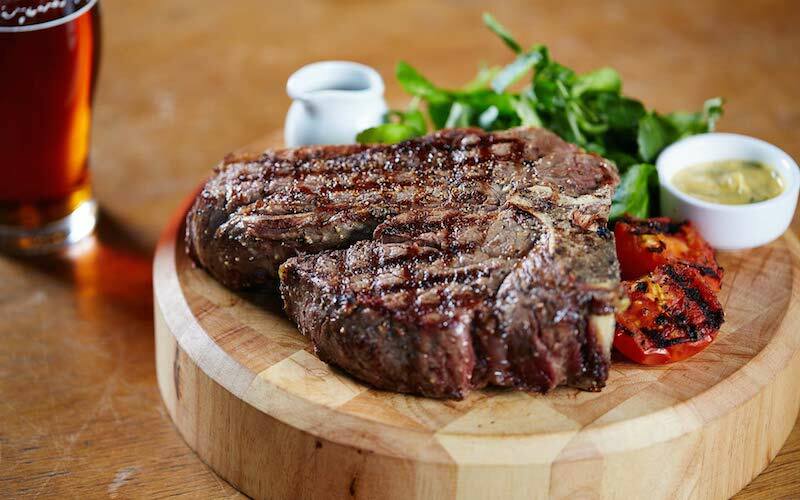 They also do a pretty good seasonal set menu that’s £29 for 4 courses and with a huge selection of beers, cocktails, wines, coffee and soft drink, you really will be spoilt for choice. Flower power all the way at this wonderful flower shop is full scents, colours and creativity. 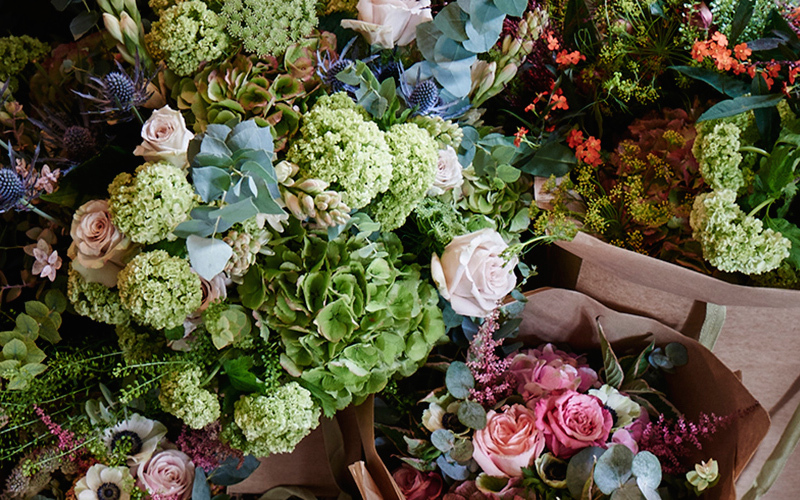 Scarlet & Violet is run by a fun bunch, who buy their flowers fresh from the market everyday, so you can be well-assured of the quality and diversity of their selection, perfect for a unique bunch, whatever your budget. Optometry is in seems to be in the blood for orthopist and dispensing optician Wojtek Wieczorek and his family. 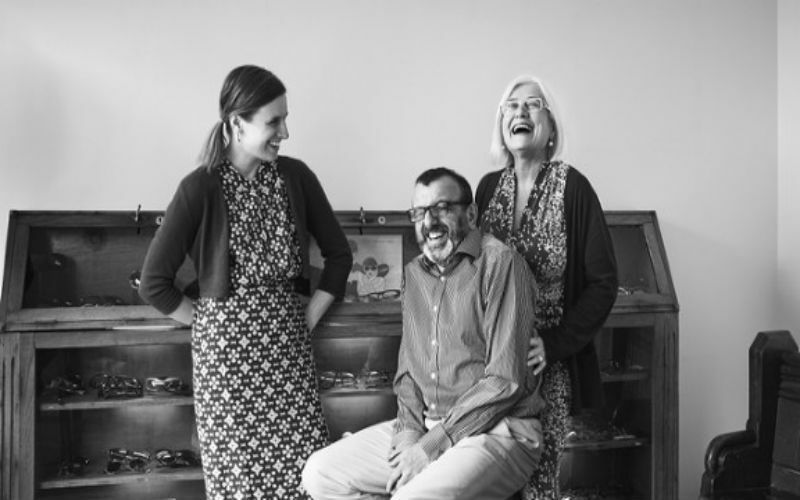 After travelling over from Poland and carrying on the family career path from his mother and father (an optician and bespoke frame maker) Wieczorek set up shop in Kensal Rise, selling a selection of classic, contemporary and specialist frames. 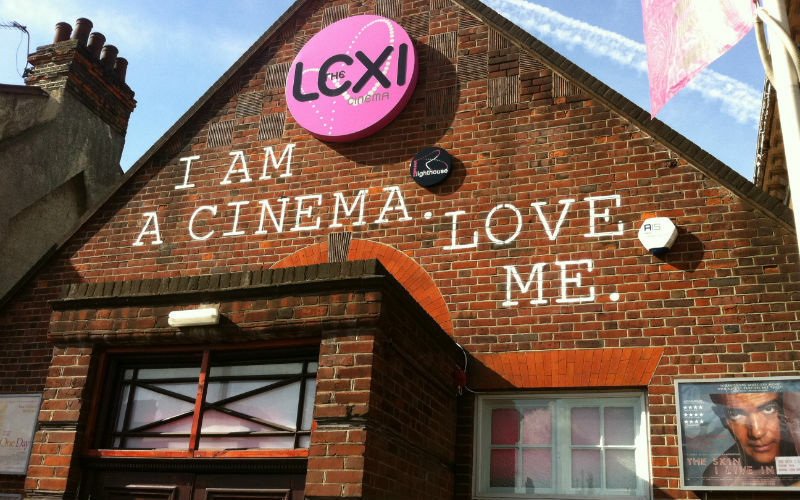 The Lexi Cinema is run almost exclusively by volunteers, meaning 100% of it’s profit goes to charity! Showing a variety of mainstream, indie films and live opera, they hope to improve the lives of north-west Londoners, whilst also helping those in South Africa, by donating all proceeds to the Sustainability Institute. Think you know your wine? 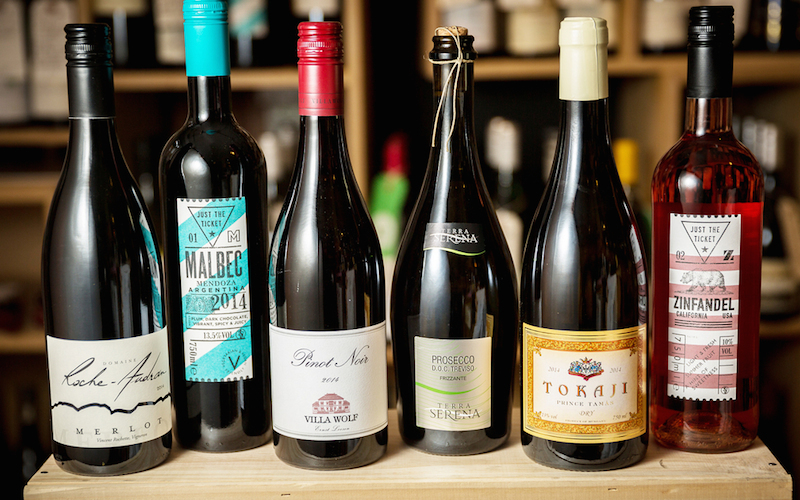 Test your knowledge at one of the newer members of the Borough Wines’ family in Kensal Rise. Though they have spread far and wide from their original stall on Borough Market, all the 300 wines in their range are handpicked, including unusual offerings, such as organic and biodynamic labels. Wine not your thing? They also sell international craft beers and a selection of boutique spirits. 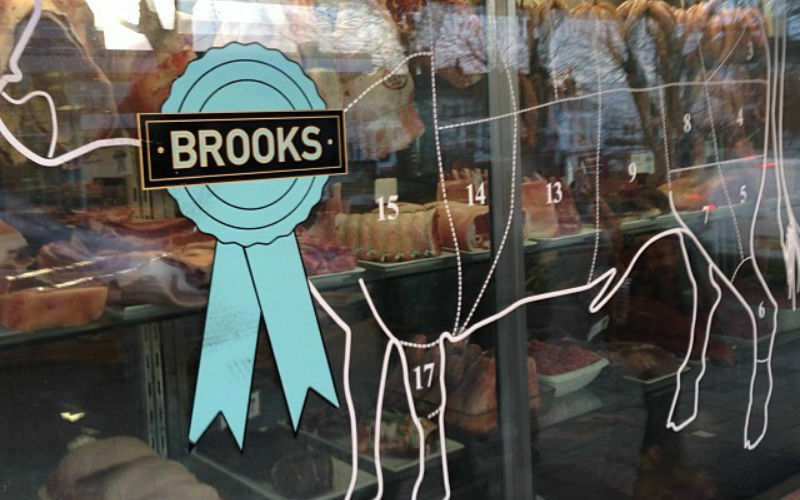 Sourcing the best in high quality, organic and free range produce, the award-winning Brooks Butchers will use their vast knowledge and experience to help you choose the best meat, game and fish for your needs. If you’re after some new threads, you’ll wanna head to Supra. 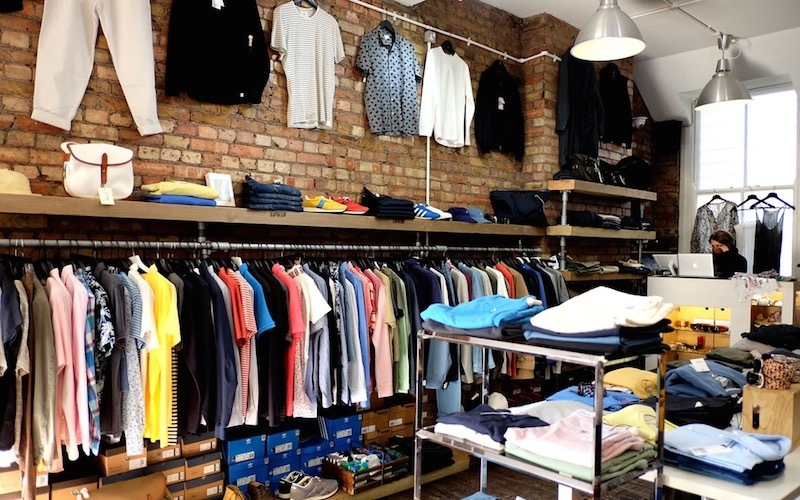 Stocking all the cool kids, you can get your mitts on Champion, Carhartt WIP, Norse Projects, Rains, Adidas, YMC and Margaret Howell. Opened in 1833, Kensal Green Cemetery is based on the infamous Pere Lachaise Cemetery in Paris and is one of London’s ‘Magnificent Seven’. If wandering round graveyards is your thing, there are tours that take place monthly, which aim to make sense of the higgledy-piggledy gravestones as well as pick out some of the more famous occupants. 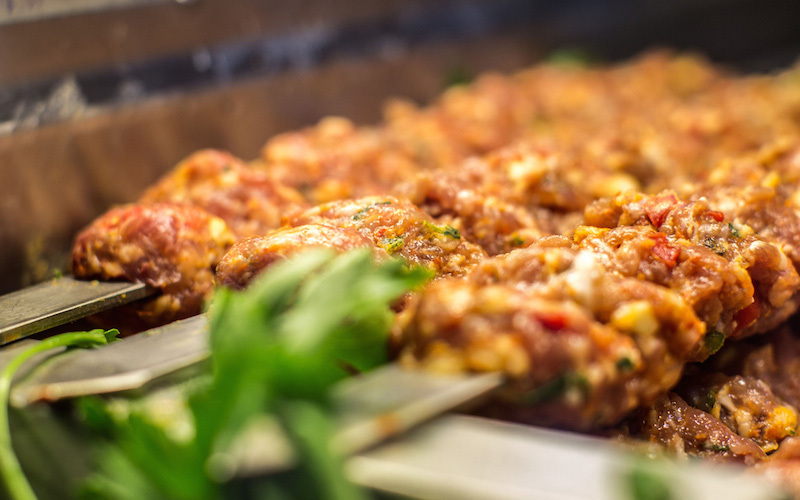 Forget 3am kebabs, you’ll want to be in Shish Mangal morning, noon and night. Even better, they also allow you to bring your own booze AND don’t add service charge to the bill, as they believe that their service is pretty brilliant and should come part and parcel of the experience. Count us in! 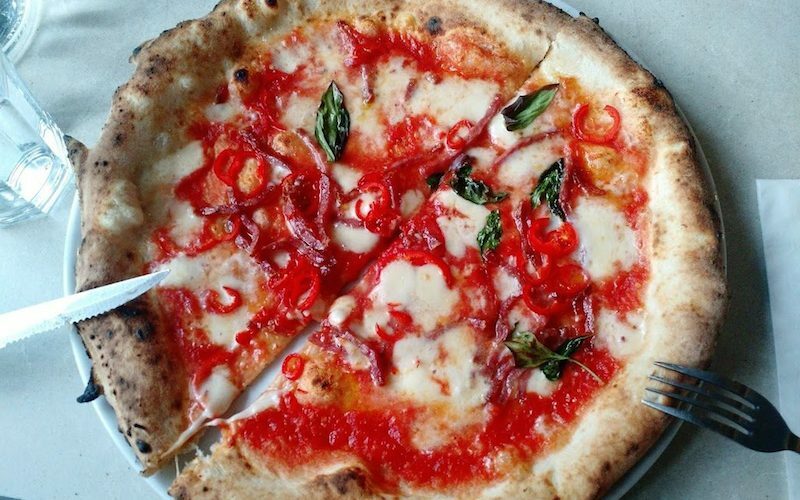 For a slice of Naples in North West London, head to Sacro Cuore, where you can expect the same style of pizza, the same flavouings, the same cooking method… even the same oven as they would use in Southern Italy. They have only been around for 4 years but are already a firm local favourite. 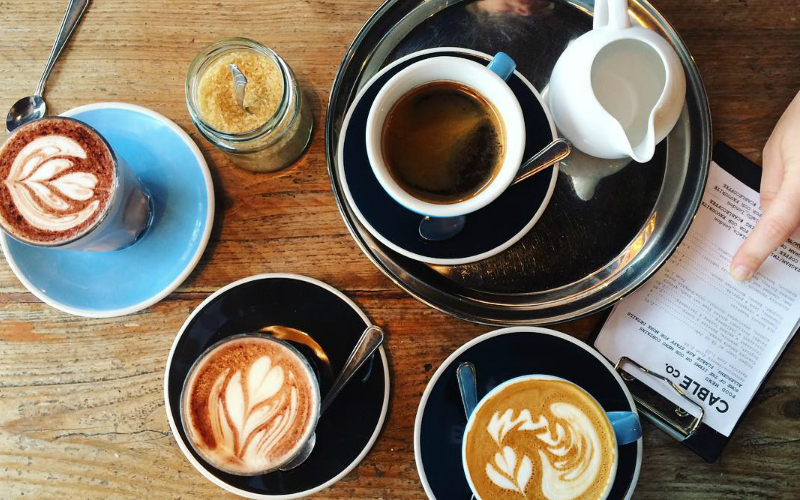 Keeping it local with East Londoner’s Climpson & Sons coffee, these guys specialise in a good, strong cuppa’ joe. If you are looking for something a little more sustaining, they also serve breakfast, lunch and superfood smoothies. Got an intolerance or on a diet? Just let the staff know, and they are sure to recommend something suitable from the various treats in their selection! Kensal Rise’s Verandah is a real treasure trove, stocking everything from children’s toys to candles to African laundry baskets. They pride themselves on stocking beautiful and unusual items, so if you’re in need of a present, this is the place.